Oh,Christmas isn't just a day…it's a frame of mind. Your beard doesn't have one of those things that goes over your ears. 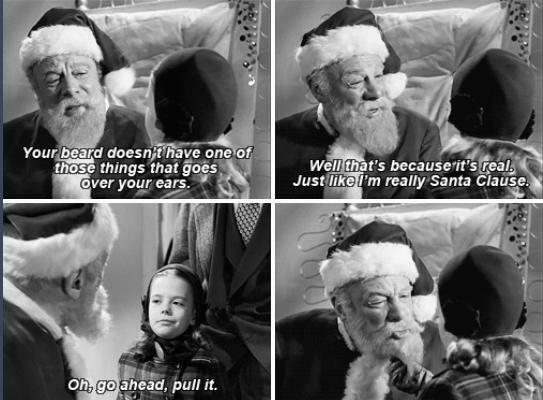 Well that's because it's real, Just like I'm really Santa Clause. Oh,go ahead,pull it. Faith is believing in things when common sense tells you no to.